Over the last few years the Beerwah Hotel in the Sunshine Coast hinterland has undergone a facelift, the result is a comfy well appointed hotel, with fantastic food and regular live music. Of course, the Hotel has the standard fare you would expect from a country pub - a beer garden, good meals and meat raffles. However, it's the beautiful timber restaurant that sets this Hotel apart from others in the Sunshine Coast hinterland. The menu is well priced and the food is to die for. Our family of eight had dinner there on a Saturday night, each person trying a different meal. We were pleasantly surprised at the quality and variety - there was not one complaint amongst us. 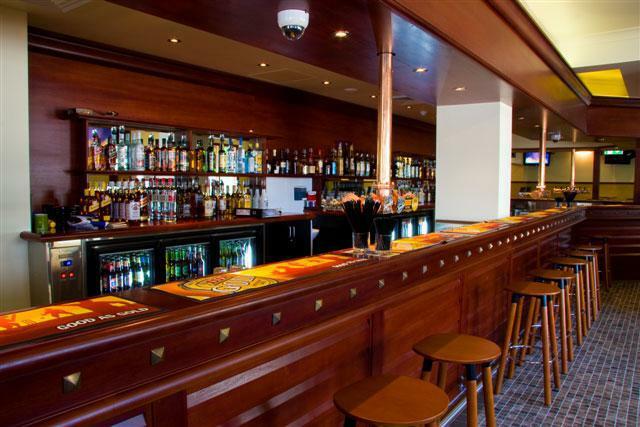 One of the standout aspects of the Beerwah Hotel Restaurant is the service. The staff go out of their way to ensure your experience is to a high standard. Even though the restaurant was full when we ordered, we only waited about half an hour for our mains to arrive. The restaurant also caters for functions and large parties. Although we didn't try the accommodation, the Hotel also boasts a variety of single, double and family rooms starting from the bargain price of $45/night single and $55/night double. The hotel has a continual string of live acts on Friday and Saturday nights, and Sunday afternoons, which coupled with their cheap accommodation, makes this venue a great night out. See their website for upcoming events. If you're contemplating a leisurely Sunday drive through the Glasshouse Mountains, lunch at the Beerwah Hotel is a must. It's a great country pub.